With an influx of cash from New York, Connecticut and California, the islands of Miami Beach are taking on fresh identities. When the Senate passed the tax bill last December, many people were very happy. But likely no group popped more bubbly than the luxury realtors and developers of Miami Beach. (It also made many people very unhappy, but we’ll leave that for another time.) With the scent of POTUS’ Sharpie still drying on the parchment, deep-pocketed New Yorkers and Californians fleeing the new code—which, among other changes, removed the SALT deduction, making high-tax cities even more expensive—sought out a new spot to park their wealth—and their G Wagons. And the Magic City is welcoming them with open arms, waterfront views and soaring penthouses. Aerial view of the infinity pool at 321 Ocean Drive. “You look at recent sales on Miami Beach, and it’s clear what is happening,” says Julian Johnston, luxury real estate broker and owner of Calibre Realty. “The Silicon Valley guys are coming, the New York hedge fund guys are coming, and they all want new construction, a minimum of six or seven bedrooms, and don’t even blink at a $17 million starting point.” Miami real estate developer Todd Michael Glaser, who has collaborated with just about every major architect and developer, agrees. “There’s clearly a migration plan in place, and with the superwealthy sick of paying state taxes, it’s easy for them to unwind their lives and move.” Glaser’s only gripe: “Unfortunately there’s no inventory [on Miami Beach] in the $50 million to $100 million range.” But fear not, the new arrivals have found a way to make a lowly $20 million house a home. On the Venetian Islands, where the bohemian vibe and walkability appeal to outdoorsy Californians, the preferred course of action is to unite and conquer. “This heavily sought ’hood is scoring record prices with wealthy newcomers who combine multiple properties, tear down homes, and build 7,000-square-foot ones with great views,” says Darin Feldman of Insignia International Properties. Among the owners on Di Lido Island are venture capitalist Jim Goetz, a partner at Sequoia Capital (the main investor in WhatsApp before selling it to Facebook for $19 billion), who purchased a double lot. He joined fellow venture capitalist and real estate developer Robert Zangrillo, an early Facebook investor whose Dragon Global is developing Magic City. And of course Ken Lerer, cofounder of The Huffington Post. 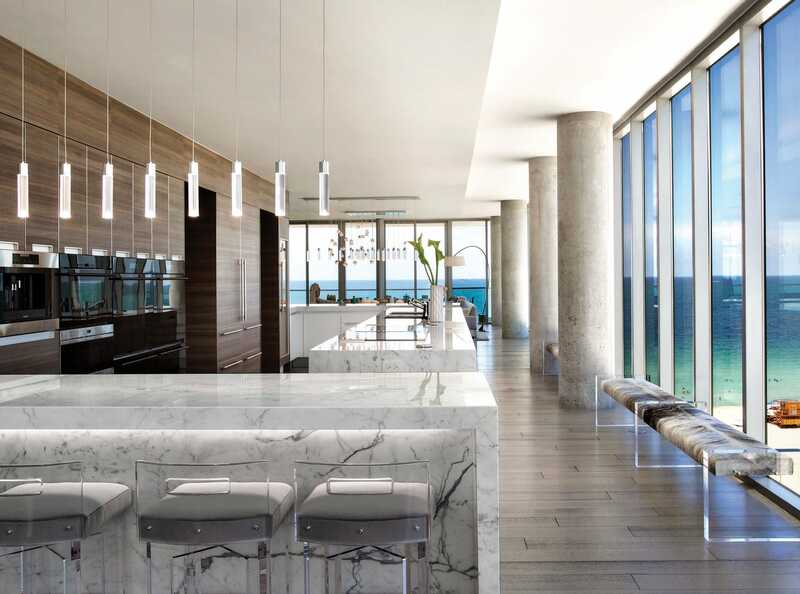 The $13.5 million condo at Apogee delivers epic Atlantic Ocean views. There was always big money on North Bay Road, but where you once could find the Bee Gees and Iggy Pop, you now have a growing population of hedge funders and hugely wealthy corporate types. Among them: Barry Sternlicht, founder and CEO of Starwood Capital Group, and Russell Weiner, billionaire founder of Rockstar energy drink. Most recently, New York developer Michael Stern plunked down $10 million-plus for a waterfront property. And while some real estate agents will argue over the higher and lower ends of North Bay Road, and the choice between being closer to Sunset Harbour with better views or the larger lots above 41st Street, it’s really just a matter of taste. South of Fifth was once referred to by locals as Little Italy, because, as broker Julian Johnston explains, “Italians love the cachet of this neighborhood, and it’s often the only language one hears at the Continuum’s Patio restaurant.” But with a migration of wealth setting new sales records, “Little Greenwich” might be the more appropriate label. 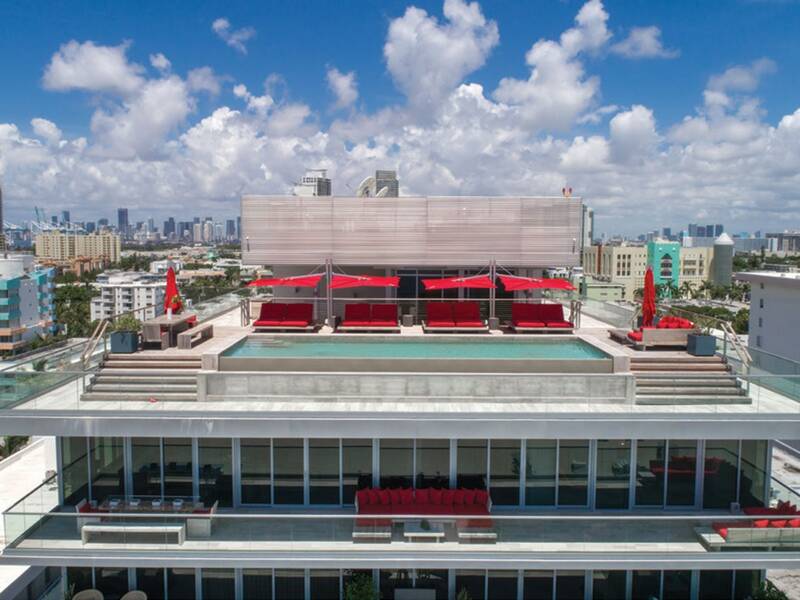 Recently the Russian venture capitalist Boris Jordan sold his two-story penthouse at 321 Ocean Drive for $26 million, the highest-priced residential condo transaction in the last 12 months for Miami-Dade county. 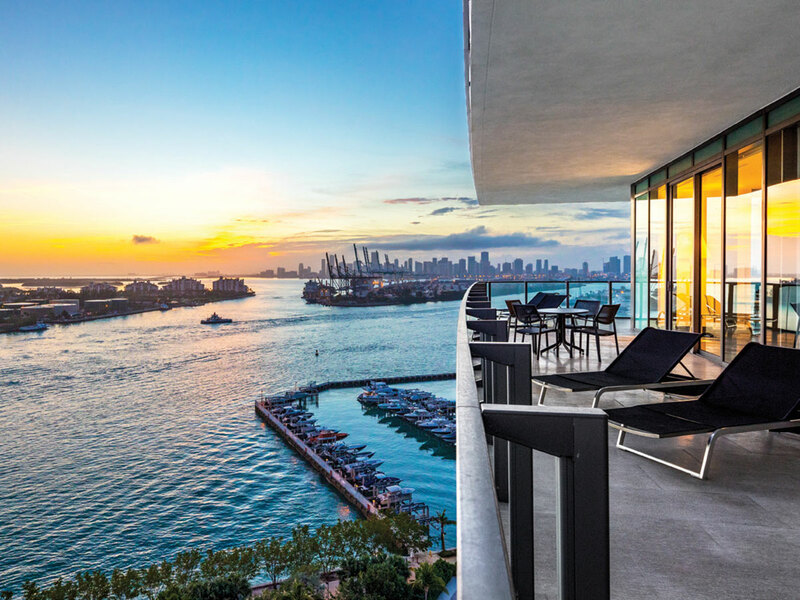 The buyer: Cliff Asness, co-founder of AQR Capital Management based in Greenwich, Conn. Less than a mile away, at 800 South Pointe Drive, John Liew, also of AQR, scooped up a $13.5 million condo at the Apogee South Beach. The kitchen inside 321 Ocean Drive. As the early arrivals bring a fresh identity to these chosen neighborhoods of Miami Beach, real estate agents are polishing up other locales for rediscovery. There’s Allison Island, which until relatively recently was considered “an island with crappy little ranch houses,” according to Feldman. But because of its low profile and being 24/7 guard-gated, the 8.5-acre oasis has a lot of potential for buyers seeking more privacy. In fact, Glaser considers it the most undervalued of all the islands and built himself a home with a crawl space so high you can drive a car underneath, or at least avoid rising tides. Sunset Islands 1 to 4 are considered the crown jewels of Miami Beach and favored by Americans and Europeans, but properties are not transacted very often. And for anyone looking to own an entire island, the best bet is to persuade Stuart Miller, who inhales properties on Star Island as if they were jelly beans, to sell one of his lots. Brett Harris, director of luxury sales at Douglas Elliman, broke records when he recently sold yet another property—this one for $33 million—in 40 days to, you guessed it, Miller. The ubiquitous Mark Zilbert, executive vice president of Brown, Harris, Stevens, claims the island is constantly in transition but adds, “Like a Phoenix rising, there’s no death on Star, as homes are torn down and rebuilt.” Indeed, on the islands of Miami Beach, what’s old is new again.